noun: Payment, salary, or fees from an office or employment. From Latin emolumentum (profit, advantage), from ex- (out) + molere (to grind). Earliest documented use: 1480. Earlier an emolument was a miller’s fee for grinding corn. Today, emolument is what you get for the daily grind. 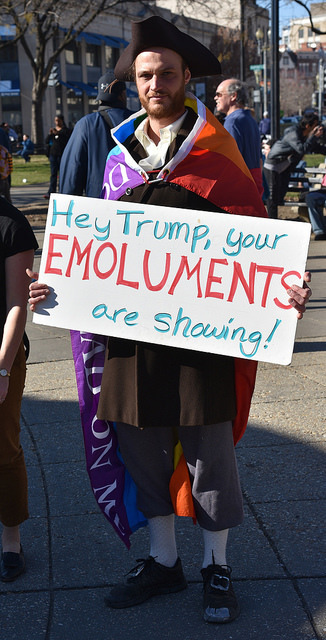 What have emoluments got to do with politics today? See this article from Time about the president’s violation of the foreign emoluments clause of the US Constitution. Ruth Rendell; The Vault; Scribner; 2011. See more usage examples of emolument in Vocabulary.com’s dictionary.